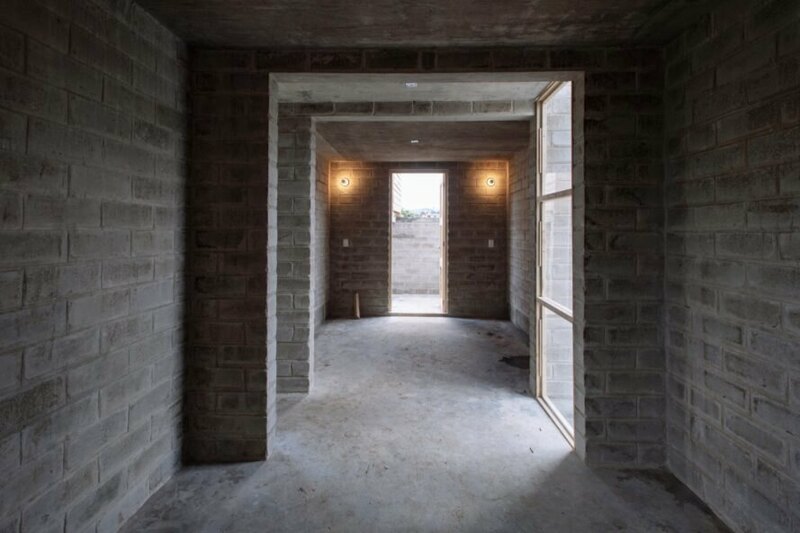 In the aftermath of the Puebla earthquake that struck central Mexico in September 2017, Fundación PienZa Sostenible and Love Army México tapped Mexico City-based firm Francisco Pardo Arquitecto to design a home for a family who had lost their house in the disaster. 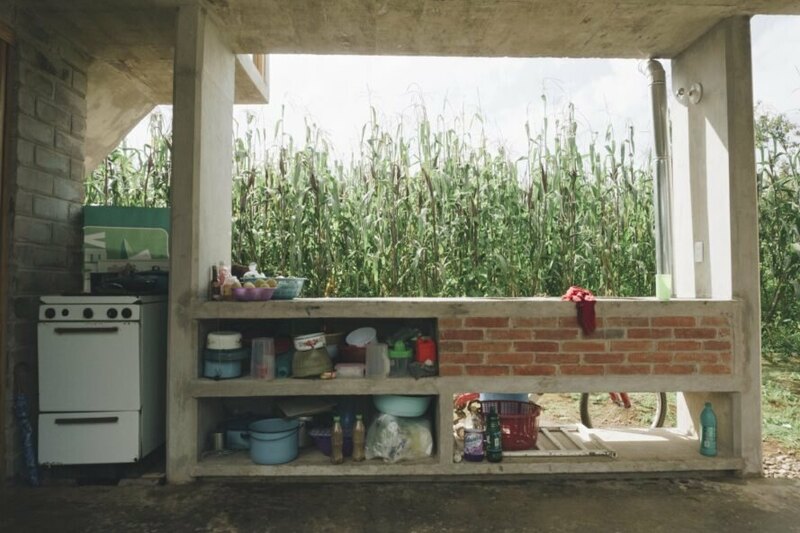 Working in close collaboration with the Guzman family, the architects created a new and more earthquake-resistant dwelling that not only caters to the family’s needs but also offers improved living conditions. Named Casa Karina after the matriarch in the family of four, the home is built largely of compressed earth blocks, created in situ, along with pinewood used for the doors and windows. Located in the rural town of Ocuilan de Arteaga, the Guzmans’ 807-square-foot lot is located on family land split into five equal parts among the siblings. The Guzman’s original home was of poor construction: a single-story wood structure covered in metal sheets without insulation; the floors were bare soil. In designing an improved home for the Guzmans, the architects decided to build a multi-story house with the communal areas and full bathroom on the ground floor, two bedrooms on the second floor and an open terrace on the third floor from where views of the town, the neighboring fields and the surrounding volcanoes can be seen. By building upward, the architects also allocated enough area on the grounds for a field for growing crops and space where the couple’s two daughters can play outdoors. The kitchen, located at the heart of the home, overlooks views of the field. 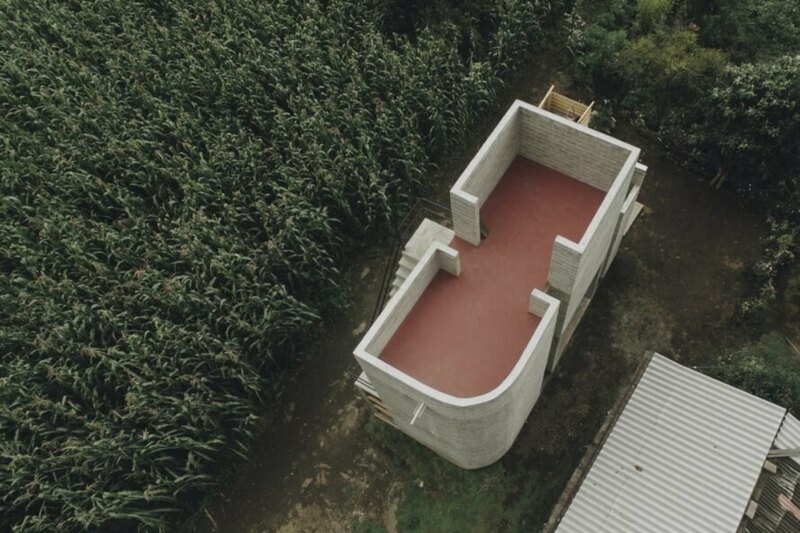 Francisco Pardo Arquitecto designed this resilient home for the Guzman family, who lost everything in the 2017 Puebla earthquake. 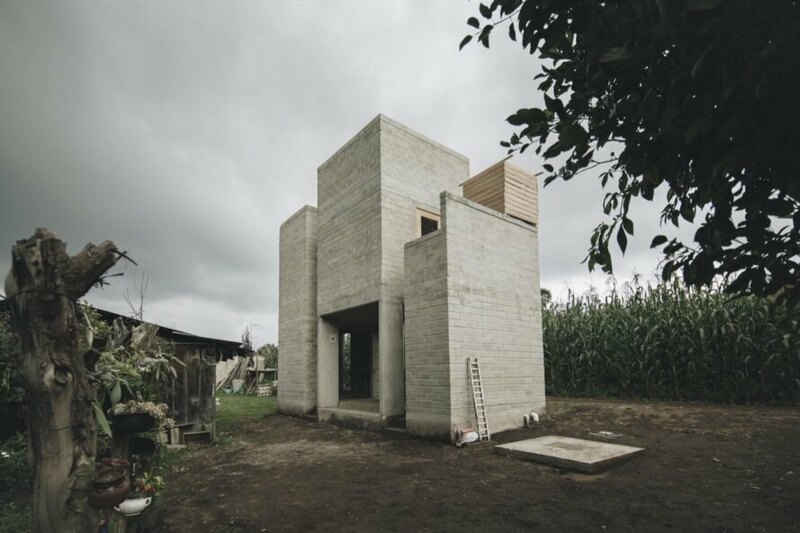 The home uses concrete and compressed earth blocks in its construction. Strategically placed windows bring in natural light. The home features improved living conditions compared to the family's previous residence. The architects built upward to leave plenty of outdoor space for the family to grow crops or play outside. The home sits on a large piece of land that is shared by five siblings. The communal spaces are on the ground floor and bedrooms are on the second level. 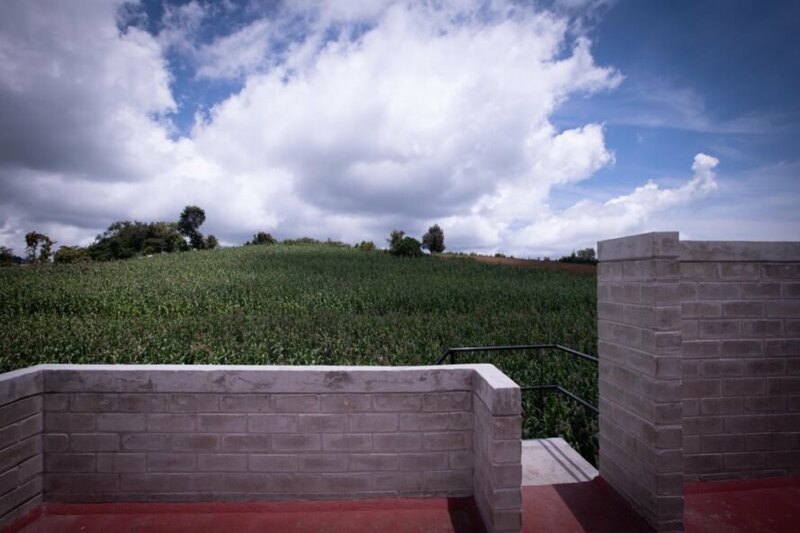 On the third story, a rooftop terrace invites the family to take in views of the town, nearby fields and distant volcanoes. 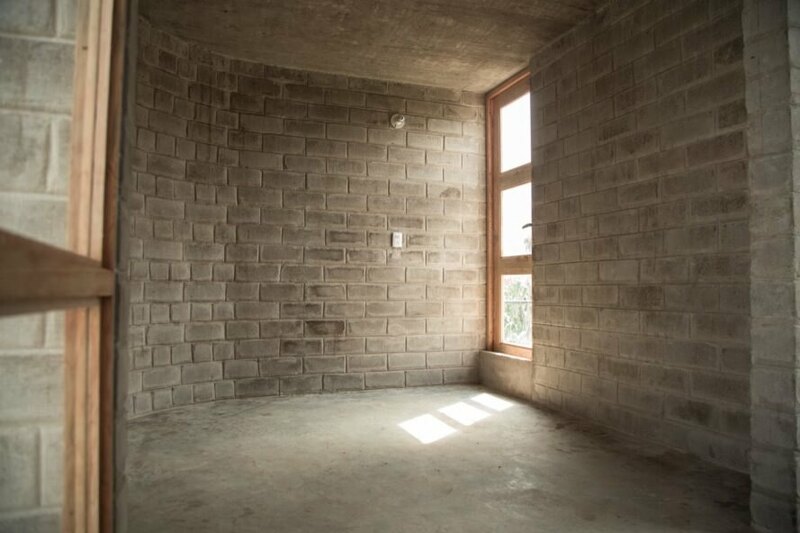 The compressed earth walls are reinforced with concrete for more stability.